In the previous Part, the claim about a “knowledge transfer debt” that European civilization supposedly owes the Islamic civilization was analyzed. A second part of Europe’s “debt” to Islam is often framed as an enrichment of Europe’s intellectual life by Islam during the Middle Ages, by implanting rationalism (which has supposedly been lost in Europe during the “Dark Ages”), and by making Europe acquainted with lots of new knowledge in different areas of science. Here I’ll only focus on the claims “rationality came from the East” (Alain de Libera) and “only through Arab thinkers did Europe learn rationalism” (Zeinab Abdel-Aziz). The claims state, in essence: Islamic civilization in the Middle Ages was more rational than European civilization was at the time and that Islamic civilization taught Europe rationalism. How much truth is in claims like “rationality came from the East” or that “only through Arab thinkers did Europe learn rationalism”? Would Europeans in the Middle Ages and later have really been unable to learn to think rationally, without being taught by Muslims to do so? Rationality is the quality or state of being rational – that is, being based on or agreeable to reason. Rationality implies the conformity of one’s beliefs with one’s reasons to believe, and of one’s actions with one’s reasons for action. In other words, if one has good reasons to believe something, and if then one acts on these beliefs, then it is rational. This would be in contrast to irrational, which would be having beliefs without good reasons and acting against one’s own beliefs, even if they are based on good reasons. Thus, the first objection to the sweeping statements at the beginning of this chapter would be that there is no evidence—at least I don’t know of any—which would indicate that Europeans were less rational in the above sense than Muslims were, and that they needed teaching from Muslims to learn more rationality in that sense. The problem with the above definition is that it is too general. But maybe “rationality” is meant in those sweeping statements in a more specific sense: logical reasoning determines one’s understanding of the world. This would be contrasted to “irrationality” or “limited rationality” where other ways of thinking like belief in revelation or in holy texts determines one’s understanding of the world. This is the sense in which “rationality” is often used and I’ll use it here in this sense, too. “Naturalistic” and “rational” thinking are related. “Naturalism”allows for reliable cause-effect relationships in nature. This would be the opposite of “occasionalistic” thinking which would state that there are no reliable cause-effect relationships in nature: God only is the cause of everything. Reason, as a tool to understand the world, would be of any use only if nature contains reliable cause-effect relationships. In this sense Europe was very well able to acquire rationalistic and naturalistic thinking by itself. As shown in Part 2, scholars at the school of Chartres developed just this type of thinking during the 12th century “renaissance”, using mostly Greek philosophers like Plato and Christianity as input. They did this at a time before the great wave of translations, when only very few Muslim authors were known in the West. This kind of thinking got onto a new level in Europe when Latin translations of Aristotle started to appear—first from Greek to Latin in mid-12th century and then from Arabic to Latin. Aristotle’s texts covered all kinds of natural philosophy topics like physics, meteorology, astronomy, biology, psychology, as well as logic and metaphysics. One important feature of Aristotelian thinking was its naturalism: events in nature depended on the characteristics of objects in nature, and on cause-effect relationships between those objects. Understanding the world was possible via rational reflection. The Arabic-to-Latin translations during the second half of the 12th century covered not only works of Greek authors but also works of Muslim philosophers like al-Farabi, Avicenna and (somewhat later, during the first part of the 13th century) Averroes. The translated commentaries of Averroes on Aristotle were widely used in Europe as a guide to understanding and debating Aristotle. Averroes became known as “The Commentator” because of these highly regarded commentaries on Aristotle’s works. 14th-century painting by Andrea di Bonaiuto. Thus, there is little doubt that texts of Averroes and other Muslim philosophers furthered rationalistic thinking in Europe. But I don’t agree that this means that “rationality came from the East”. First of all, we have just seen that rationalistic and naturalistic thinking was well developed in Europe in the 11th and 12th centuries, before the influence of these Muslim philosophers. Second, sweeping statements like “rationality came from the East” suggest a general superiority of the “East” above Europe with regard to rationality. Such a superiority did not exist at the time when Europe learned about the work of these Muslim scholars at the end of the 12th century. The “East” in the Middle Ages, say between the 9th and 12th centuries, was not monolithic: thinking developed in many different directions. One of them was indeed that of the Muslim philosophers, the falasifa. They were influenced by the new Arabic translations of works of ancient Greek authors like Plato and Aristotle. Avicenna, Averroes, but also some others like al-Farabi and al-Kindi belonged to them. Most of the famous falasifa lived during the 9th and 10th centuries, but there were exceptions, like Averroes, who died in 1198. These falasifa were always a small minority, supported by some Muslim rulers but hated and often threatened by the religious establishment and fought bitterly by the Islamic theologians, whether these belonged to the “traditionalistic” branches of theology—those for whom the Quran and the traditional texts like the Hadiths were the sole source of religious belief—or to branches which were prepared to argue theological points using Greek logic, like the Asharites, named after their founder Abu al-Hasan al-Ashari (874-936). Muslim theologians were far more representative of thinking in the Muslim “East” during the Middle Ages than the falasifa were. For most of these theologians, God’s omnipotence was an important topic. For “traditionalists” like Ibn Hanbal, God pre-determined every single event, including every single act of humans. Others, like the mutazilites, allowed for human free will and for some limitations of God’s power, but they were soon sidelined by other branches, in particular by the Asharites. Free will was not an issue for the traditionalists because they were not interested in logical argumentation, but the Asharites tried to combine their view of God’s omnipotence with a sort of limited free will. During the first half of the 10th century the Asharites developed (maybe relying on earlier similar ideas by mutazilites) an extreme doctrine of atomistic occasionalism. According to these ideas, God determines every single event in every moment, thus leaving no space for causal relationships between events in nature. In fact, God achieves this in a way that he recreates the world moment by moment, atom by atom. Thus, when a piece of cotton burns after we put a burning match next to it is not because it was lit by the burning match. It is because God, for some unknown and unknowable reason, creates these two events—the match burning and cotton catching fire—in close spatial and temporal proximity, one after the other. There is no causal relationship between these events; they are separate, without any connection to each other whatsoever. The only causal factor is God’s will. al-Ghazali’s attack on the principle of natural causation, which was part of his general critique of philosophy and the philosophers … served to undercut a general belief in the rational powers of human agents (p. 90). Of course, if nature didn’t have any reliable cause-effect relationships and if God was the only causal agent, then a skeptical attitude towards the powers of human reason to understand the world was justified. Al-Ghazali is revered in Islam until today as one of the foremost scholars. The Grand Mufti of Egypt lecturing on al-Ghazali. The influence of the Asharites and in particular of Al-Ghazali in the Muslim world has been immense. The mutazilites disappeared from the scene after the 10th century and the falasifa became less and less, too. In contrast, al-Ghazali was—and still is—revered in the Muslim world as few other persons have been and is often regarded as a “renewer of the faith”. It is best, in ibn Khaldun’s judgement, for Muslims to refrain from studying natural philosophy or physics because “The problems of physics are of no importance for us in our religious affairs or our livelihoods. Therefore we must leave them alone” (A History of Natural Philosophy, p. 90). Ibn Khaldun on a Tunesian bank note. Some Middle Eastern philosophers still portray Averröes as a heretic … the scholars of Al-Azhar, the oldest madrasa in Egypt that became a university in the twentieth century, banned the showing of a film on Ibn Rushd [i.e. 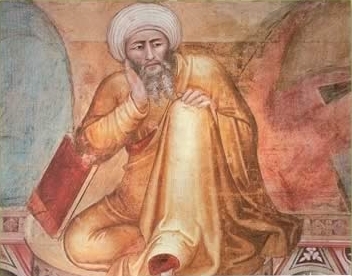 Averroes] that portrayed him as a progressive Islamic thinker (p. 93). Thus, much of Islamic thought in the Middle Ages (and later) was anything but rational. It was firmly rooted in religion: for understanding the world, revelation was far more important that rationality. In addition, because philosophy’s origin was in ancient Greece, a high level of suspicion was felt towards the falasifa, whose thinking was influenced by this “foreign” source which was seen as a potential danger for the beliefs of Muslims. One would assume that if really “rationality came from the East” as stated by Alain de Libera, then education, and in particular higher education, would be much more “rationalistic” in the “East” than in Europe. Since about the 11th century, higher level education in Islam was conducted at madrasas. These were religious trusts or waqf, founded by a wealthy person or a ruler. The curriculum was determined by religious requirements. Instead of centering inquiry on naturalistic inquiries, the madrasas were created to preserve and protect the Islamic religious tradition. This means that the Islamic sciences, the study of Islamic law, Quranic studies, and hadith collections and their interpretation were the central subjects (p. 154). Rote learning of the Quran and of other religious texts was a typical part of madrasa education. Later additional subjects like logic, mathematics and astronomy were taught, too. All of these subjects were included because of their perceived usefulness to religion. For example, mathematics was useful to calculate inheritances, based on Quranic precepts. Astronomy was useful for time keeping and more exact calendars, for example to be able to better determine the date of the start of Ramadan. … teaching within the madrasas never included the study of Aristotle’s natural books. It did not include the study of his Physics, Metaphysics, and Meteorology, nor On Generation and Corruption, Plants, Animals, and so on. Neither did it contain the study of optics (p. 155). People interested in Greek philosophy or natural sciences had to acquire their knowledge outside of madrasas by reading or by private instruction. In Europe the first universities appeared during the 12th and 13th centuries. From very early on there was a clear separation between the theology faculty and a faculty—the faculty of arts— which taught secular subjects. The curriculum of the arts faculty was originally based on the seven “liberal arts”: grammar, rhetoric and logic (the trivium) and arithmetic, geometry, astronomy and music (the quadrivium). To this were added Aristotelian natural and moral philosophy and metaphysics, soon after the Latin Aristotle translations appeared. In addition to the theology and arts faculties, there was often a faculty of medicine. The faculties for theology and medicine were the “higher” faculties. This meant that normally anybody who wanted to study theology or medicine had to first go through a study in the “lower” arts faculty. Thus, theologians normally had a thorough education in natural philosophy. The inclusion of Aristotle’s works into the arts curriculum was not without resistance from church authorities. For example, Aristotle’s books were banned at the University of Paris in 1210. This ban didn’t have a lasting effect. It was not enforced and Aristotelian teaching continued in Paris soon thereafter. In 1277 there was another attempt by the Bishop of Paris to control Aristotelian teaching: the famous “condemnation” of a teaching 219 Aristotelian doctrines, like the one that said that the world was eternal. This “condemnation” was lifted in 1325 and from then on Aristotle’s natural philosophy works became the center of teaching at the arts faculty of the University of Paris. Madrasas vs. universities: where was education more rationalistic? Teaching at madrasas in the Muslim world was not more “rational” than teaching at universities in Europe. On the contrary: the above description shows that the sole purpose of madrasas was to give a religious education. Only subjects which served this purpose were included in the curriculum. In contrast, at European universities there was a separation between secular teaching (arts) and religious teaching (theology). Though teaching at the arts faculty was seen as lower level than teaching at the theology, secular teaching had its own firm place at the university, separate from requirements of religion. Using the definition of rationality above, an education would be more rationalistic if it transmits the idea that the world can be understood—at least partially—using human reason, instead of relying only on revelation and holy texts. In this sense there is no doubt that higher education at European universities was much more rationalistic than education at Muslim madrasas. Tolerant co-existence and debate of different views and religions during the Muslim “Golden Age” is often mentioned as another one of the enriching ideas coming from Islam. The famous “House of Wisdom” in Baghdad, according to the traditional view built and maintained by the Abbasid caliphs, was supposed to have been an example of this tolerance. The claim with regard to this institution is actually not so much that it has influenced contemporary European thinking but that it (together with other examples of Muslim “tolerance”, like the “Golden Age” in Muslim Cordoba) became an example to follow for a tolerant relationship between people with differing opinions. It was originally the private library of the caliph Harun al-Rashid. His son, caliph al-Mamun (813-833) opened it for the academic public. It has been described as a place where scholars and representatives of different philosophical and theological views met and debated in a free, scholarly atmosphere. This idyllic picture is a myth, says Gouguenheim. He analyzed what has really been said about meetings in the “House of Wisdom” between the caliph al-Mamun and scholars. Gouguenheim concludes that the scholars mentioned were all Muslim religious scholars of one kind or the other (with the exception of “Geometers”). The “tolerance” shown during those meetings was between Islamic religious scholars of different persuasion. (Even this “tolerance”, if it ever existed, was soon ended: caliph al-Mamun instituted a kind of inquisition called mihna, the target of which were “traditionalists”, conservative clerics who opposed the doctrines of the mu’tazilites, the religious sect favored by al-Mamun). In any case, says Gouguenheim, there is no evidence of such meetings in the “House of Wisdom” in which philosophers, scientists or representatives of religions other than Islam would have participated. Soon after the death of caliph al-Mamun the “House of Wisdom” became a library again, and its activity apparently ceased in the 10th century. Thus, it seems that, if the “House of Wisdom” existed at all as a kind of academy—which is, according to some historians, like Dimitri Gutas, not proven—it was only active as such at most for a few decades. While the works of Muslim philosophers and of other Muslim scholars were welcome by Europeans, who often found them very useful, it is by no means correct to say that “Rationality came from the East” or “Only through Arab thinkers did Europe learn rationalism”. Europeans were very well able to develop their own rational thinking, already at the time when very few of these Muslim authors were known in Europe. Also, the implication that the Muslim “East” in the Middle Ages was more rational than Europe is simply wrong. On the contrary: by the time the works of great Muslim thinkers reached Europe in the 12th and 13th centuries, the Islamic civilization became more and more influenced by traditionalist and Asharite religious ideas. Rationality occupied more and more a backseat in that environment. One caveat: in this Part I focused on the claims about the superior rationality of the Islamic world as compared to Europe during the Middle Ages. However, though Europeans didn’t need teaching from Islam about rationality, Europe did receive lots of knowledge from Muslims in specific areas. The Aristotle commentaries by Averroes and others have already been mentioned. Knowledge in medicine (e.g. 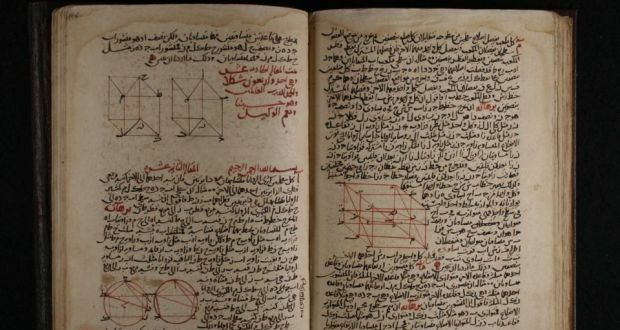 Avicenna’s Canon of Medicine), mathematics (al-Kwarizmi’s book on algebra; Arabic numbers), optics (Ibn al-Haytham’s work), etc. were transferred to Europe when works of Muslim scientists were translated into Latin.